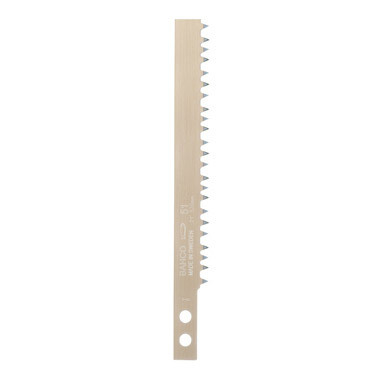 Bahco 21 inch bowsaw blade, ideal for cutting dry, seasoned wood and fresh green wood. High-frequency, peg toothing - hard point. Made from hardened and tempered steel, which guarantees long-lasting performance. Will fit most 21 inch bow saw frames.